Bringing your new baby home from the hospital is both exciting and nerve-wracking. 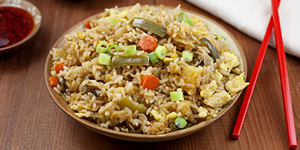 You want to enjoy your bundle of joy and get some much-needed rest, but the doctor wants you to track feeding times, diaper changes and sleep schedules. 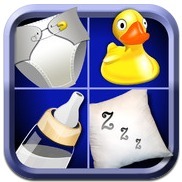 Give your sleep-deprived brain a break and allow these apps for new parents to help you focus on what's really important — your baby. Total Baby claims their app is the “most complete baby logging and tracking application” available for Apple devices and it's hard to disagree with this statement. There are 14 different timing and tracking functions within the app and you can add up to six different children. For diaper changes, record when they were changed and what was in the diaper, including color and description (hey, it's important to note these things in the beginning). Feeding tracking can be done for nursing, bottles, pumping and solids with sections for how long or how much was consumed. You can log milestones, doctor visits, vaccines and more and view summaries of the day by time. I really like that this app not only lets you track all sorts of different information, but you can also sync it between multiple devices. This way Mom and Dad (and even the babysitter) know what's going on with Baby. At $5, it's a pretty pricey app compared to many of the other apps for new parents, but it does have a lot of functionality, especially for parents of multiples. Get it^ Total Baby is available in iTunes for the iPhone, iPod Touch and iPad. 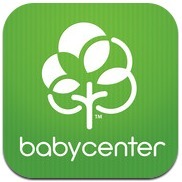 My Baby Today, created by Baby Center, is an app designed to give new parents support, advice and reminders through the first year. After downloading the app, create an account (if you don't already have one) including your child's birth date. The app then customizes the calendar based on your new bundle of love. Daily advice includes tips on health and safety, care and feeding and activities for you to do with your baby. Keep track of your to-do lists with the checklist and upload photos so you can see how your baby grows over the course of the year. The community section of the app is a nice feature that allows you to connect with other parents who had babies born in the same month and year as your little one. My two complaints are that I didn't see an option to add more than one child and I had to keep logging in to Baby Center to update information. Get it^My Baby Today is available for free in iTunes for the iPhone, iPod Touch and iPad and in Google Play for Android devices. At first, I thought the WebMD Baby app would only be information related to baby care and illnesses. But I was wrong. The Baby 101 section has all of the medical information you could ever want and there are daily tips and articles available based on your baby's age. But there is so much more than that in this app. There are journals you can use for tracking growth, sleep, feeding and diaper changes. The notes section lets you add other information you might want to remember and those notes can be emailed if needed. One of my favorite features is the baby book that you can create with pictures and milestones. Starting with My Arrival, chronicle the life of your little angel all the way back to the first sonogram picture. Record pictures of their first moments, favorite foods and all the words they learn in their first two years. It's a great way to keep track of everything important that happens in that magical first year of life. I don't like the ads that come with the app, but it's hard to complain too much about them because the app is free. 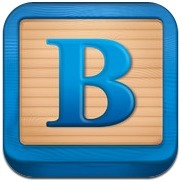 Get it^WebMD Baby is available in iTunes for the iPhone, iPod Touch and iPad and in Google Play for Android devices. From the book, Baby MedBasics: Lifesaving Action Steps at Your Fingertips: Birth to One Year, comes the app of the same name. Baby MedBasics is an app I hope you never need to use, but it's important to have because it's a guide to emergency situations that can happen from birth to age 1. There are tabs for bleeding, burns, choking and more. Each section includes basics, summaries and steps on what to do in case of various emergencies. The downside of the app is that some of the text is a little too small to read, especially if you are in the middle of an emergency. 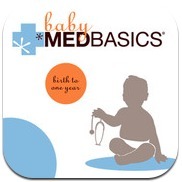 Get it^Baby MedBasics is available for $3 in iTunes for the iPhone, iPod Touch and iPad. Nursing just got a lot easier with the iBaby Feed Timer app. You no longer have to remember how long since your baby last fed, the next feed time or which breast to use. The timer will allow you track how long your baby has been nursing and when it's time to switch sides. The reminder function will alert when it's time to nurse again, that is if the baby hasn't started crying already. You can even track bottle feeds along with notes about how your baby was acting and diaper changes. I like how easy this app is to use and the average daily, weekly and monthly summaries it gives. I'm not a big fan of the $3 price tag, but sometimes it's worth it to pay for an app that makes your life easier. Get it^iBaby Feed Timer is available in iTunes for the iPhone, iPod Touch and iPad. Venturing outside the house as a new parent with a new baby can be scary. What if the baby wants to nurse or has a massive diaper explosion and you need to find a public restroom right away? 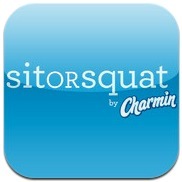 The SitorSquat: Restroom Finder by Charmin has you covered. This app has over 100,000 bathrooms listed and even more added every day by users. Search results can be filtered so you only find bathrooms that are family friendly or have baby-changing tables. While this app won't track all of the wonderful events in your baby's life, it will make life easier when you are on the go. The one downside is that it uses Facebook Connect and may send personal information about you or your device to Facebook. Get it^SitorSquat: Restroom Finder is available for free in iTunes for the iPhone, iPod Touch and iPad and in Google Play for Android devices.